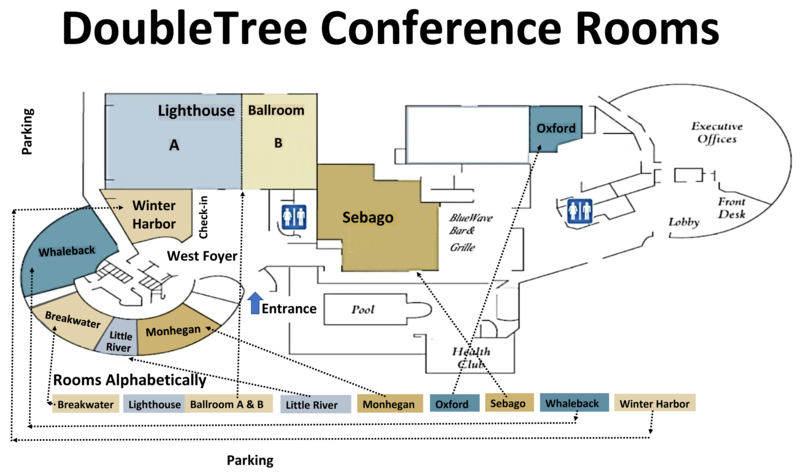 Click on the button below to see the DoubleTree conference room map. mail them to MCCA with your check. send them to MCCA by fax or email followed by your check. and pay with a debit or credit card online. You will receive confirmation of your choices. GET A $10 DISCOUNT PER PERSON by sending 20 or more people from your county! That means if you send around 16 people you can send a few for free! For registration options 1. & 2. Please click the button to the right. When the document opens, click on the download button or the print button in the upper right hand corner as illustrated in the picture. "Helping Employees Succeed When performance is Suffering" by Alyssa Tibbetts & Pat Dunn, JBGH I plan to attend the MCCA Board of Directors' meeting at 9:00 am. "The Tangled Web of the FMLA, ADA & Workers Compensation" by Tim O'Brien, Libby O'Brien I plan to attend an association meeting. “How Counties Can Play an Important Role in Combating Domestic Violence” by Faye Luppi, Violence Intervention Partnership Cumberland County “How to Survive an Inspection” by Michael LaPlante, Maine Dept of Labor, Bureau of Labor Standards “Gubernatorial Forum” Organized by Charles Pray, Executive Director of MCCA featuring leading candidates who have been invited to answer questions about their position on various issues. Golf Tournament at the Sable Oaks Golf Club. Get a team assembled and ready to win! Thanks to Bill Holmes for organizing this event. Tee time is 1:30. FMI visit www.MaineCounties.org/golf-tournament-2018. Visit Pineland Farms: Only ½ hour drive to experience the beautiful hiking trails, take a farm tour, play disc golf, see the one-acre perennial, herb and veggie garden, check out the equestrian center, meet the farm animals, visit the education center, and of course, enjoy the farm market. National Weather Service Tour: Only a half an hour drive from the DoubleTree you can enjoy a guided tour of the facility in Gray starting at 2:00 pm. Get answers to questions about climate change, weather forecasting, and storm prediction technology! Maine Brew Bus Tour: Transportation will be provided for up to 22 participants to visit local breweries, learn about the craft process, and enjoy some very tasty samples! Must be over 21 and bring ID. Maine Mall: Find shopping and Entertainment opportunities galore with over one hundred popular stores to choose from right across the street! Plan to see the action at the new hotspot Round1 offering bowling, arcade games, billiards, darts, ping pong and much more. Relax at the Hotel in your room, at the lounge, heated pool, or fitness center. Click on the "Submit" button before proceeding to the next step! Then click on the "Pay Now" button to make your meal selections and pay for registration. You should get two confirmations, one for this page and another for your payment. Note: For guests who would like to attend educational sessions and activities, please submit a separate form here on this page simply with the guest name and session/activity choices before continuing to the payment section. ~Thank you!